My co-workers have a basketball game tomorrow. 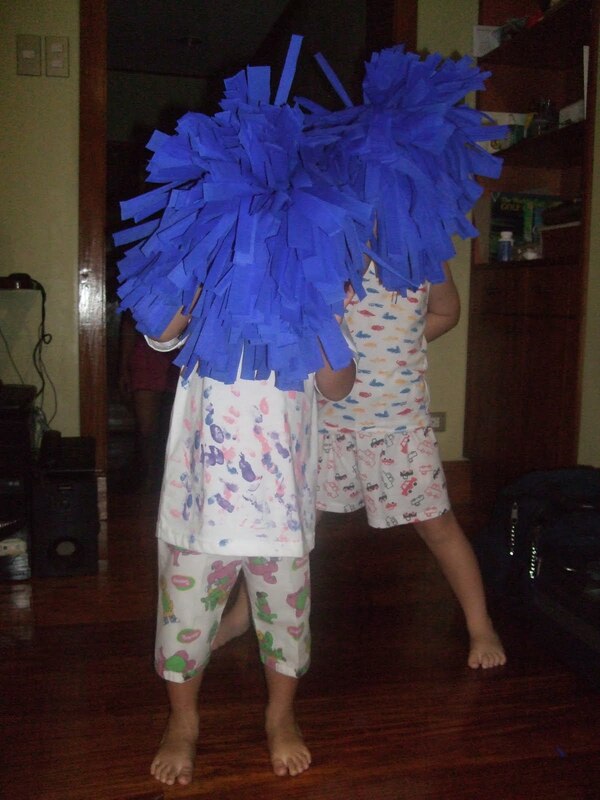 I decided to "refresh" my memory and make pompoms for extra oomph in supporting them (I promise will attempt not to trash talk because when I trash talk, my team usually loses.). I kinda forgot how to start them. Crepe or Japanese paper? 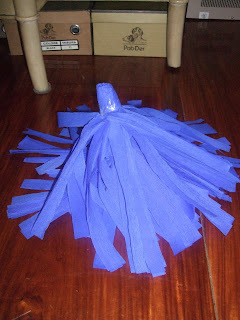 How many sheets of crepe paper? How do I cut the sheets efficiently? I can't believe these were the only problems I had back in the day. Trivia: I was part of our high school dance troupe for 2 seconds. So when I figured out what supplies I needed, I headed off to the bookstore. No brainer, they should have it there. National Bookstore Cybermall had 0 supplies. Okay, fine, I exaggerate. I refused to buy 1 sheet of crepe paper for P9. Technically, they had supplies, just at crazy prices. Then I tried SM. They did not have it! They do not have it all for us after all! I ended up in ever reliable Cherry. Their prices are usually even below SRP. Ahluvet. ﻿1. Crown crepe paper- P7. Cheaper than Royal P7.50. I won't recommend this brand though. It kept shedding while I was cutting it. 2. Scissors- I strongly disapprove buying office supplies with my own money but since my mom super glued her scissors, I had no choice! 3. 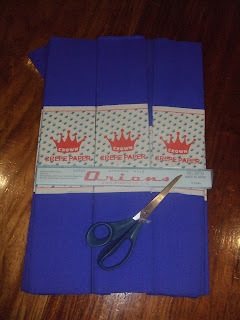 Orion ruler- Flashback grade school. 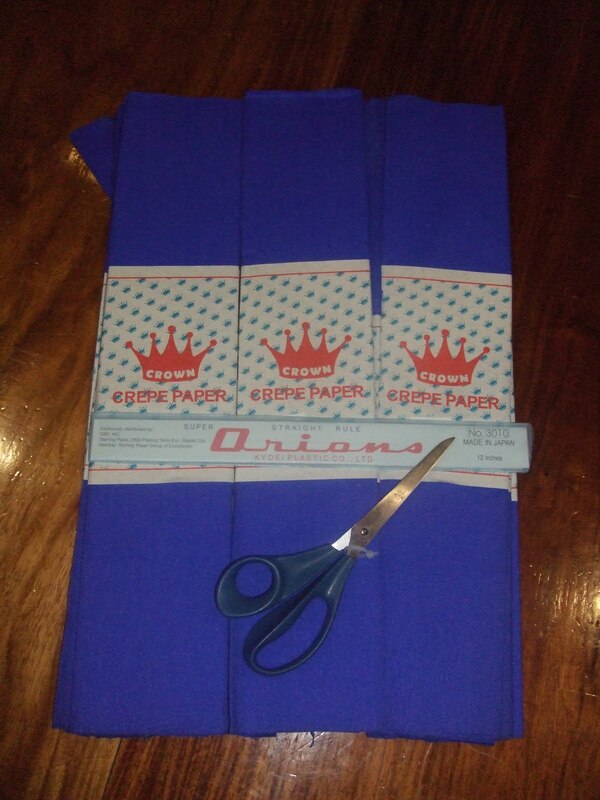 Who doesn't have an Orion ruler?! Fold the crepe in half. Cut in strips. I just kinda used my ruler. I had to because I paid for it. I will make sure Mia gets to use it in big school for ROI purposes. Roll and tape to secure. Repeat until you get the desired fluffiness. ﻿I did 3 sets for each pompom but I had allocation to do 5 sets each. It wasn't so fluffy but it's good enough for tomorrow. Good luck guys! Hope we win!